Female macropterous. Body femora and tibiae brown, tarsi variably paler; antennal segments III–IV clear yellow, V brownish yellow, VI–IX brown; fore wing apparently without brown marking at base or on clavus, median brown area longer than wing width, costa weakly shaded around distal pale area, apex with oblique brown area. Head with postocular region as long as eye length; distal maxillary palp segment subdivided. Antennae 9-segmented, sensorium on III–IV with weak internal markings, extending to basal half of segment; V–VI with sensorium base elongate. Mesonotum with up to 5 pairs of accessory setae medially. Metanotum with small equiangular reticles medially, with internal dot-like markings. 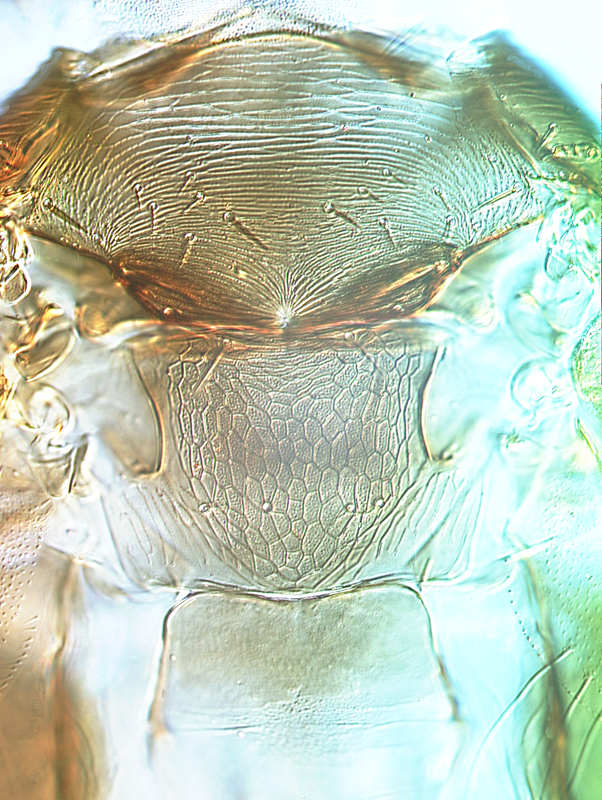 Abdominal tergite I with transverse reticulate lines; trichobothria on X no larger than base of major setae on X. Sternites with 4 or 5 pairs of small marginal setae, III–VII with transverse band of at least 20 small discal setae. 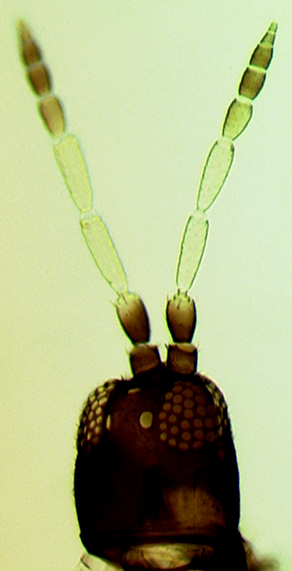 Male similar to female but smaller, fore femora paler; antennal sensoria slightly shorter. Abdominal tergite I with two longitudinal ridges. 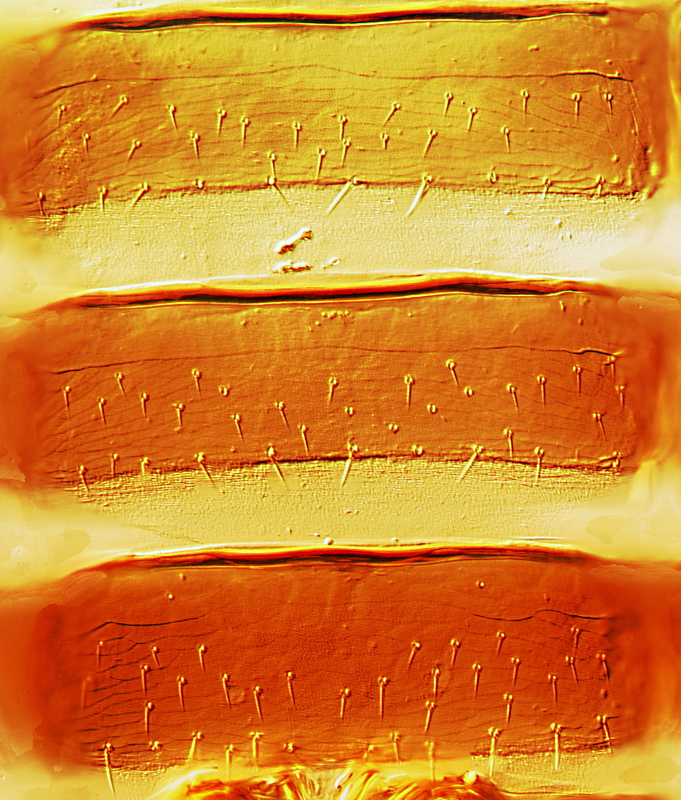 Sternites with 4 pairs of marginal setae and transverse row of discal setae; sternite IX with 4–6 discal setae. 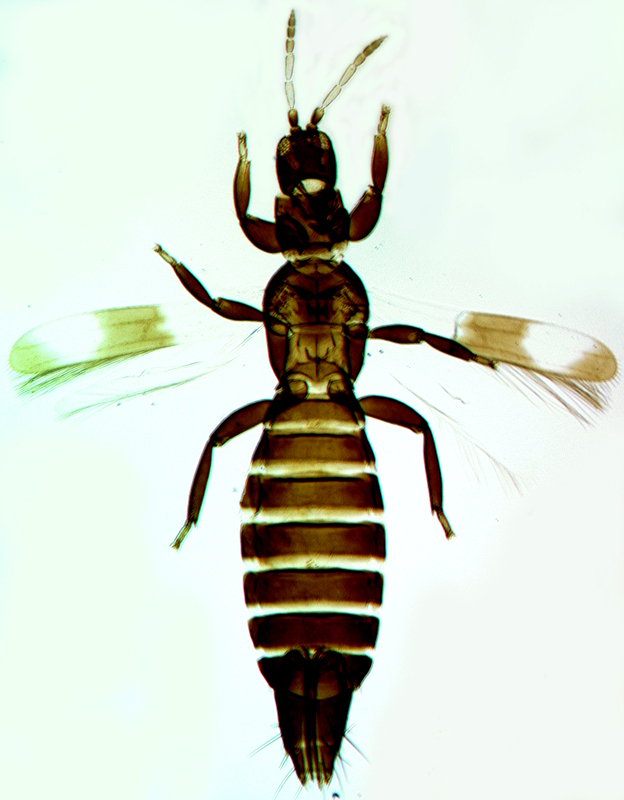 The genus Desmothrips is known only from Australia, with 18 described species (Pereyra & Mound, 2010). D. barrowi is unusual in having antennal segment IV as well as segment III clear yellow, and the base of the forewing apparently lacks any dark marking.